Sterling silver Twist toe ring. 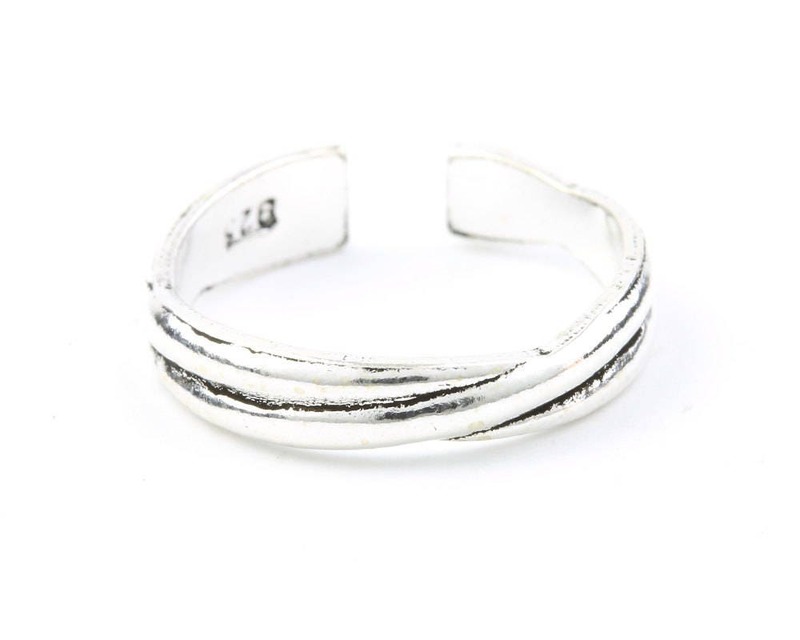 Overlapping twisted silver band design. Open band for adjustable wear. Can be worn as a toe ring or midi ring. Metal is solid Sterling Silver. Stamped 925.